"MATERIALS: 'Missing link' memristor created: Rewrite the text books?" The long-sought after memristor--the "missing link" in electronic circuit theory--has been invented by Hewlett Packard Senior Fellow R. Stanley Williams at HP Labs (Palo Alto, Calif.) Memristors--the fourth passive component type after resistors, capacitors and inductors--were postulated in a seminal 1971 paper in the IEEE Transactions on Circuit Theory by professor Leon Chua at the University of California (Berkeley), but their first realization was just announced today by HP. According to Williams and Chua, now virtually every electronics textbook will have to be revised to include the memristor and the new paradigm it represents for electronic circuit theory. 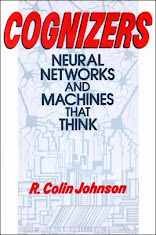 When Chua wrote his seminal paper, he used mathematics to deduce the existence of a fourth circuit element type after resistors, capacitors and inductors, which he called a memristor, because it "remembers" changes in the current passing through it by changing its resistance. Now HP claims to have discovered the first instance of a memristor, which it created with a bi-level titanium dioxide thin-film that changes its resistance when current passes through it. HP has already tested the material in its ultra-high-density crossbar switches, which use nanowires to pack a record 100 Gbits onto a single die--compared with 16 Gbits for the highest density flash memory chips extant. 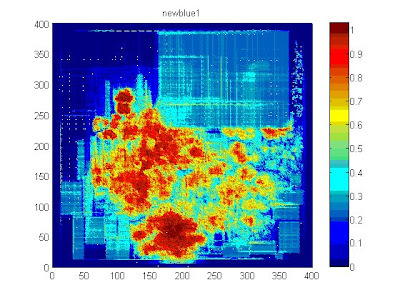 "ALGORITHMS: What if software could simulate wireless nets?" A scalable emulation and simulation software environment for next-generation wireless technologies aimed at both civilian and military networks will be announced today by Scalable Network Technologies Inc. (Los Angeles). Building on the Global Mobile Information Systems (GloMo) Program simulator developed by the Defense Advanced Research Projects Agency (Darpa), Scalable Network Technologies' QualNet and Exata software simulators accurately model the behavior and operations, respectively, of 3G and 4G mobile communications networks, including quality-of-service, software defined radios and network-centric services. By improving the predictability of wireless, mobile net-centric services, QualNet and Exata seek to enable developers to "what if" new network topologies and then try them out before building expensive hardware infrastructures. "ALGORITHMS: Second-generation 'Robot Guitar' takes the stage"
A second-generation self-tuning Robot Guitar was recently announced by Gibson Guitar Corp. (Nashville, Tenn.). 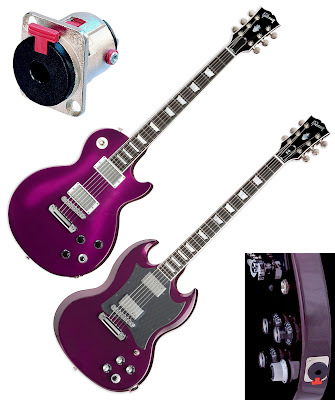 Two new models are available--a Les Paul Studio Ltd. and an SG Special Ltd.--both offering a new locking input jack. The first-generation Robot Guitar was superseded by the new second-generation models earlier this month. The new instruments, which sport a metallic purple finish, are now sold out, but EE Times has learned that a new metallic green finish will be announced by Gibson soon. All second-generation Gibson Robot Guitars have an automatic-locking input jack from Neutrik AG (Liechtenstein, Germany). The locking phone jack prevents accidental disconnection by latching whenever a standard 1/4-inch plug is inserted. Automatically mated plugs unlock only by pressing red release tab. Tronical's patented Powertune system uses motorized tuning pegs that all turn simultaneously until every string is tuned. For alternative tunings, a twirl of a knob shows illuminated settings for six non-standard tunings (Open-E, Open-G, Drop-D, Double-Drop-D, A and E-flat); custom tunings can be substituted by the player. 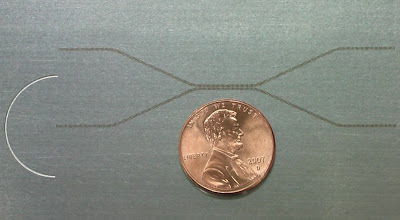 "OPTICS: Self-healing mesh optical nets emerge"
There was a time when a dredge snagging an undersea optical cable or an earthquake popping a fiber's connector would bring down the whole network. But no more. 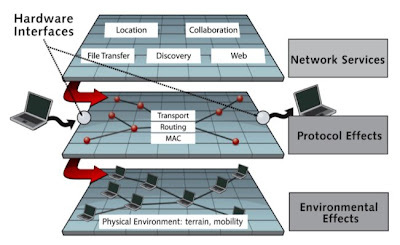 Carriers are increasingly turning to mesh topologies to route data and voice between nodes, allowing for self-healing connections that automatically reconfigure around broken, blocked or overloaded paths by "hopping" alternate node-to-node routes to the desired destination. With all the buzz about wireless mesh networks, you might have thought that optical networks were still point-to-point or rings, but nothing could be further from the truth. 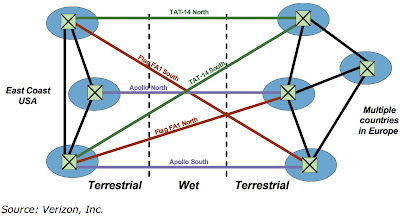 Optical networks worldwide are quickly moving to mesh topologies. Like routing intercontinental airline flights either around or over the pole, fully connected global mesh networks can route traffic as congestion and failures allow, providing nearly 100 percent network availability, as well as fail-safe security. Ciena Corp. (Linthicum, Md. ), AT&T, Verizon Business, Internet 2 newbie Tata Teleservices (India) and more than 30 other carriers and service providers are switching from antiquated, point-to-point or ring networks to mesh topologies that provide fail-safe connections Ciena describes as "survivable." "PODCAST: Week-in-Review, April 25, 2008"
Welcome to Week-in-Review where we cover the week's tops technology stories. This week our top stories include how lab-on-chip design automation is taking a cue from electronic design automation, how waveguides are bridgingthe "terahertz gap," how the Massachussets Institute of Technology is getting serious about solar power and how a robot is slated to conduct a symphony orchestra. "ALGORITHMS: Lab-on-chip design automation takes cue from EDA"
Algorithms developed by a range of research groups aim to automate microfluidic lab-on-chip technologies that perform chemical identification and medical tests by shuffling nanoliters of samples and reagents around micron-sized channels. Besides shortening the time required to analyze such small sample sizes, automation enables many more lab tests to be performed on chip. The initial algorithms were hand-crafted for various lab-on-chip prototypes. But according to presentations at the International Symposium on Physical Design (ISPD), researchers have begun adapting EDA techniques to automate the design and operation of microfluidic labs-on-chip. "MATERIALS: Waveguides bridge 'terahertz gap'"
Wires that carry terahertz electromagnetic radiation could carry 1,000-GHz signals. That's 20 times faster than the speed of the world's fastest microprocessor, which IBM Corp. announced last week. "PODCAST: Week-in-Review, April 18, 2008"
"CHIPS: Future of chip design revealed at ISPD"
Advances in the design and fabrication of semiconductors were unveiled here this week at the International Symposium on Physical Design (ISPD, April 13-16, 2008, Portland, Ore.). As the premier forum for sharing leading-edge results in chip-design methodologies, the ISPD also identifies future research trends years before they become commercialized. This year, topics ranged from the need for collaboration among chip makers at the 32-nanometer node, how logic-synthesis is solving problems with physical-synthesis, how radio-frequency interconnection strategies could enhance standard CMOS, to how the Taiwanese beat both the U.S. and Europeans in the ISPD Global Routing Contest. "CHIPS: E-paper speeds up for interactive apps"
Electrophoretic "electronic paper" displays will get a speed boost next month as a result of a deal between E Ink Corp. (Cambridge, Mass.) and Seiko Epson Corp. (Tokyo). The companies have jointly developed an electronic-paper display controller that they claim breaks the speed bottleneck that has stood in the way of e-paper's use for interactive applications. The main advantage of such displays is that they use reflected light instead of a backlight, making them easy to read at any angle in normal room lighting as well as in bright sunlight. LCDs, by contrast, are hard to read in sunlight and have a limited viewing angle. With the faster Epson-manufactured controller, E Ink claims that electrophoretic displays can tackle nearly every application now served by LCDs, albeit only in black and white (or a limited number of gray scales). Applications include e-books, newspapers, -notebooks and -dictionaries; tablet PCs; and auxilliary displays for ordinary laptop computers. "ENERGY: Scientists channel lightning with ground-based lasers"
Harnessing lightning strikes has been a fascination since Benjamin Franklin conducted his famous kite experiments. Strikes have been deliberately conducted to the ground by rockets spooling long wires behind them, but that technique has only been successful about 50 percent of the time. Now a team of European scientists has triggered lightning strikes with ground-based lasers. The goal is to create miles-long plasma filaments that would extend from clouds to the ground, providing an economical conduit—akin to Franklin's kite string—to channel surefire strikes for the purpose of studying lightning's mechanisms and its effects on infrastructure. 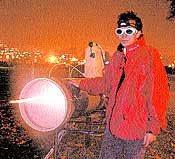 As the lasers penetrate the atmosphere, they create plasma filaments along their path, then trigger lightning discharges that travel back down the filament to terra firma. The end goal is to expand scientists' understanding of lightning as well as test the lightning sensitivity of airplanes, powerlines and other critical infrastructure features and systems that are vulnerable to damage by strikes. "CHIPS: Ramtron rolls microcontroller-independent FRAM"
Ramtron International Corp. has unveiled what it claims is the first in a new family of intelligent ferroelectric RAMs capable of recording data independent of a separate microcontroller previously needed to make the nonvolatile memory operate like solid-state storage devices. FRAM marries high-speed nonvolatility with unlimited rewrites while operating at speeds comparable to SRAM. 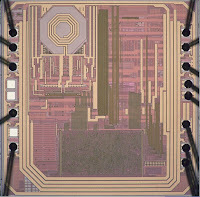 Until now, however, a dedicated microcontroller was needed, either on-chip or connected to an external FRAM chip. 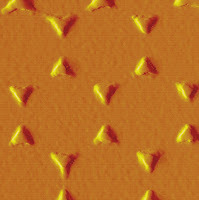 "CHIPS: IBM 'racetrack' memory seeks to replace flash, disk drives"
A next-generation nonvolatile memory dubbed "racetrack" is expected to initially replace flash memory and eventually hard-disk drives, according to IBM Corp. fellow Stuart Parkin of its Almaden Research Center (San Jose, Calif.) Using spintronics--the storage of bits generated by the magnetic spin of electrons rather than their charge--a proof-of-concept shift register was recently demonstrated by IBM. 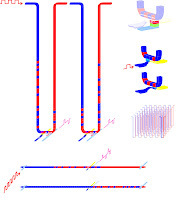 The prototype encodes bits into the magnetic domain walls along the length of a silicon nanowire, or racetrack. 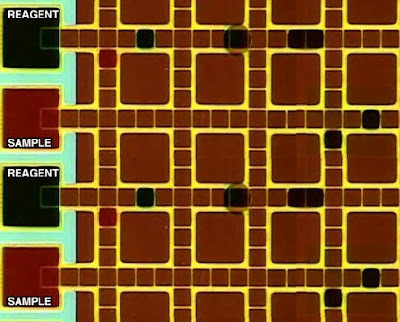 IBM uses "massless motion" to move the magnetic domain walls along the nanowire for the storage and retrieval of information. 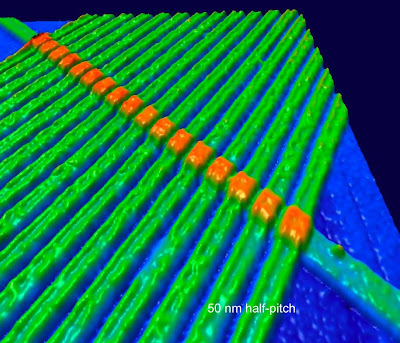 IBM's goal, based on spintronic patents filed as early as 2004, is to use the same square micron that currently houses a single SRAM memory bit, or 10 flash bits, and drill down into the third dimension to store spin-polarized bits on a sunken racetrack-shaped magnetic nanowire. Using an area of silicon 1 micron wide and 10 microns high, IBM said its first-generation racetrack would store 10 bits compared to one, thereby replacing flash memory. Eventually, it could store 100 bits in the same area, which is dense enough to replace hard-disk drives. "PODCAST: Week-in-Review, April 11, 2008"
"NANOTECH: Silver nanoparticles leaching into environment"
Scientists are raising alarms about toxic nanoparticles being woven into fabrics as "odor neutralizers" in socks and as antibacterial agents in bandages. Silver nanoparticles used in fabrics were found by researchers to leach out after just a few washings, releasing harmful toxins shown to harm aquatic life. While the effects of silver nanoparticles on humans have yet to be established, the researchers recommended that the Environmental Protection Agency (EPA) require manufacturers to bind silver nanoparticles to fabrics to prevent leaching during washing. They also recommended labeling products as containing potentially harmful nanoparticles. The researchers purchased socks and bandages from six different manufacturers to test whether the silver nanoparticles leached out during washing. Testing consisted of soaking socks in distilled water, shaking the contents for one hour, then testing the water for the presence of toxic ionic silver as well as for silver nanoparticles. The toxicity of silver nanoparticles has yet to be established by EPA. The results showed a wide spectrum of toxicity, with some socks releasing both toxic ionic silver and silver nanoparticles, and some retaining silver. The worst brands released all their silver after just a few washings; others gradually released it while some brands retained silver nanoparticles through repeated washings. The scientists concluded that it should be possible to require fabric makers to use processes that retain silver nanoparticles. They added that is it up to the EPA to specify a requirement. "ALGORITHMS: IBM rolls water-cooled supercomputer"
IBM Corp. has unveiled a water-cooled "Hydro-Cluster" supercomputer it claims is five times faster than previous models while delivering a three-fold increase in energy efficiency. Based on IBM's latest Power6 microprocessor, the company said its new Power 575 supercomputer uses water-cooled copper plates above each microprocessor to remove heat. According to IBM's Zurich Research Laboratory, where the water-cooling mechanism was invented, water is up to 4,000 times more effective in removing heat from electronics, compared to air. Data centers using the Power 575 would require 80 percent fewer air conditioning units and 40 percent less power. IBM will reveal details of the energy efficiency of its Power 575 architecture at the upcoming ITherm 2008 (May 28 in Orlando, Fla.), a conference on the thermal cooling of electronic devices, packages and systems. IBM's Power 575 supercomputer uses 448 Power6 cores in a single rack with 3.5 terrabytes of memory, divided among 14 nodes each operating at 600 Gflops. Combined performance totals 8.4 trillion Tflops. "WIRELESS: New approach seeks to bridge gap to mobile Internet"
Wireless network operators faced with providing more IP services to mobile handset users have been targeted by IP-only systems specialists who are seeking to link conventional circuit switches and the Internet's data-packet switches. Stoke Inc. (Santa Clara, Calif.), for instance, collapses the security gateway, session manager, deep-packet inspector and quality-of-service functions into a single add-on device that offers IP services--from YouTube and MySpace to Google and voice-over-IP--to as many as 100,000 mobile handsets. Stoke's Session Exchange (SSX) system, a hybrid hardware/software solution, is intended to fit between an Internet backbone and a network operator's existing application-subscriber control and management systems. According to Stoke, SSX integrates circuit-switched voice service with packet-switched IP service for 2G and 3G mobile users. It also provides a path for mobile users to migrate to 4G devices and faster Wi-Fi and WiMax connections. Currently, for instance, iPhone users must leave the AT&T network when using Wi-Fi capabilities of their iPhones. Stokes claims its SSX family will enable 3G and 4G handsets to switch from circuit-switched networks to faster Wi-Fi and WiMax packet-switched networks while remaining connected to the same mobile carrier. Microelectromechanical system (MEMS) oscillators are replacing quartz crystals at a 120 percent annual growth rate, according to an industry forecast, or four times the growth rate forecast elsewhere. The bullish MEMS forecast from Wicht Technologie Consulting (WTC, Munich, Germany), outpaced an earlier survey of MEMS foundries by Yole Development (Lyon, France), which predicted 30 percent annual growth. According to WTC, the current $2.5 million market for MEMS oscillators will grow to $140 million by 2012, fueled by microminiaturization in consumer and automotive electronics as well as by system-on-chip MEMS with multiple oscillators on a single CMOS chip. 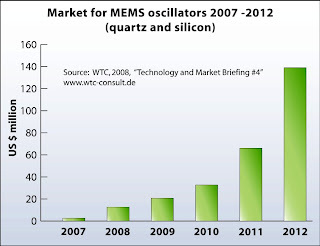 Beyond 2012, MEMS oscillators could also begin penetrating the $1 billion market for mobile handset timing chips, according to WTC. Already shipped are about 3 million MEMS oscillators in 2007 from Discera Inc. (San Jose, Calif.) and SiTime Corp. (Sunnyvale, Calif.). Silicon Clocks Inc. (Fremont, Calif.) is readying its first shipments of silicon-germanium based MEMS oscillators, which the company plans to offer as SoC timing circuits. "ALGORITHMS: Engineers' algorithm picks Kansas to win NCAA championship"
Engineers have crafted an algorithm that appears to predict the outcome of the NCAA Men's Division I Basketball Championship better than the experts, the sports writers, the polls and other computer models can. Working from historical data, the algorithm posted an 83 percent accuracy rate over the last nine years of NCAA brackets. This year, it predicts a victory by Kansas. The algorithm is but one win away from being right. The professors attribute the accuracy of their algorithm to its impartial, emotionless consideration of game results as well as its novel approaches to the home court advantage and close-game scores. Instead of gut feelings, the Georgia Tech algorithm, called Logistic Regression Markov Chain (LRMC), uses only scoreboard data, home court advantage and margin of victory. When considering home court advantage, its novelty consists in ranking how much playing at home helps a team win, rather than how much playing at home helps a team score points. Other computer models weigh points on a home court differently from those scored away from home. The second novelty of the Georgia Tech algorithm is its handling of close games as toss-ups, since close scores involve more luck than skill and thus are a poor indicator of which team is better. Other computer models rank close games as wins of equal merit to blowouts. The Georgia Tech engineers, however, argue that losing a close game should not count against a team as much as losing by a landslide. "PODCAST: Week-in-Review, April 4, 2008"
"CHIPS: Time out! CMOS ousts quartz crystals"
Mobius Microsystems Inc. (Sunnyvale, Calif.) today unveils its CMOS Harmonic Oscillator (CHO) technology that eliminates the need for quartz crystals in many applications. By integrating an oscillator onto an ordinary complementary metal oxide semiconductor (CMOS) chip, the company claims to have removed the last moving part from electronics circuitry. Mobius has identified multiple high-volume markets for its CHO technology (where its 100 PPM accuracy is adequate), including providing the timing signals for the serial PCI-Express peripheral bus; for universal serial bus (USB) devices; for serial hard disk drives (S-ATA); for flat-panel displays; and for printers. For each of these applications, switching to a CHO chip means that OEMs can reduce their bills-of-material (BOM) by dropping quartz crystals. "WIRELESS: Satellite/terrestrial handset reference design launched"
What's claimed to be the world's first reference design for a combined satellite/terrestrial wireless handset was rolled out by Elektrobit Corp. (EB, Oulunsalo, Finland) this week at the Cellular Telecommunications & Internet Association (CTIA) Wireless Conference (April 1-3, 2008, Las Vegas, Nev.). The satellite-terrestrial communications handset was developed by EB in cooperation with TerreStar Corp. (Reston, Va.), which aims to be the first mobile-network operator to own and operate a 4G integrated mobile satellite and terrestrial communications network throughout North America. The satellite-terrestrial communications handset has both a touch-screen like the iPhone as well as a full Qwerty keyboard operated with the thumbs. 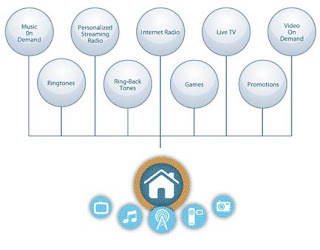 For its terrestrial cellular connections the satellite/terrestrial communications handset uses Infineon's chipset, and for the satellite connection it uses technology from Hughes Network Systems. "SPACE: Superconductors could help spacecraft hover"
Luke Skywalker's space racer hovered unpowered above the ground in the seminal Star Wars movie, but scientists have searched in vain for a real-world technology that realizes the same dream. Now, Cornell University researchers propose that superconductors paired with permanent magnets could fit the bill. Superconductor technologies designed at Cornell aim to hold space-station modules and satellites in place without tethers or retrorockets by magnetically "pinning" them in place. Within six months, the researchers plan to have a working test bed in place to verify that unpowered superconducting architectures can stabilize and control spacecraft. Magnetic pinning works by placing two space modules—one with an unpowered, but supercooled, superconducting coil and the other with an ordinary permanent magnet—near each other. The permanent magnet induces a current in the superconductor that is persistent and exactly opposite to the field of the magnet. In essence, one essentially "grips" the other with an invisible magnetic glove. "WIRELESS: WiMax-based service integrates cellphone, TV"
WiMax technology could deliver the last mile of wireless broadband service as an alternative to cable and DSL, beginning with network deployment in 2009, according to executives at this week's Cellular Telecommunications & Internet (CTIA) Wireless Conference (April 1-3). 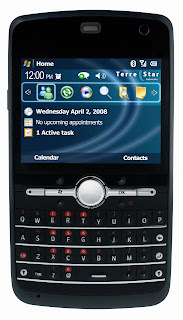 The WiMax Forum said it expects to certify 100 WiMax mobile devices in 2008. It said more than 260 service providers would begin deploying WiMax services in 110 countries by 2010. San Diego-based NextWave Wireless Inc. demonstrated MXtv at the CTIA conference in Las Vegas. MXtv is a television broadcast capability that WiMax network operators can add to conventional cellular-type WiMax networks. NextWave Wireless also showed several WiMax reference-design prototypes, including a pocket digital video recorder (DVR) and announced that it was sampling a new higher-performance, lower-power combo WiMax/Wi-Fi chip set for OEMs.